SACRAMENTO, Calif. - A disbarred Harvard University-trained attorney pleaded guilty Thursday to kidnapping in a bizarre case that police in California initially dismissed as a hoax. A shackled Matthew Muller acknowledged in federal court in Sacramento that he snatched a woman and held her for ransom. Muller calmly told U.S. District Judge Troy Nunley that he was taking antidepressant, mood-stabilizing and anti-psychotic drugs. His attorney, Thomas Johnson, later said Muller has been diagnosed as manic and depressive. Still, Nunley said he found Muller competent to enter the guilty plea. Muller, 39, could face life in prison when he is sentenced, though prosecutors have agreed as part of his guilty plea to recommend a maximum term of 40 years. “There’s a tremendous amount of remorse,” Johnson said in an interview outside the courtroom. He said his client has “tremendous potential,” and he was hopeful Muller could be rehabilitated. Muller previously pleaded not guilty to kidnapping Denise Huskins in March 2015. Her boyfriend, Aaron Quinn, said kidnappers broke into the couple’s Vallejo, California, home, took Huskins and demanded $8,500 as a ransom - a figure that police have said they found small for what would have been an elaborate kidnapping. Huskins turned up safe two days later in her hometown of Huntington Beach, where she says she was dropped off. After she reappeared, Vallejo police called the kidnapping a hoax. Huskins sued, accusing police of wrongly likening the case to the movie “Gone Girl” and damaging the reputations of her and her boyfriend. Attorneys for police have said investigators doubted Quinn’s account of the abduction and grew more skeptical when Huskins refused to reunite with her family soon after she reappeared. 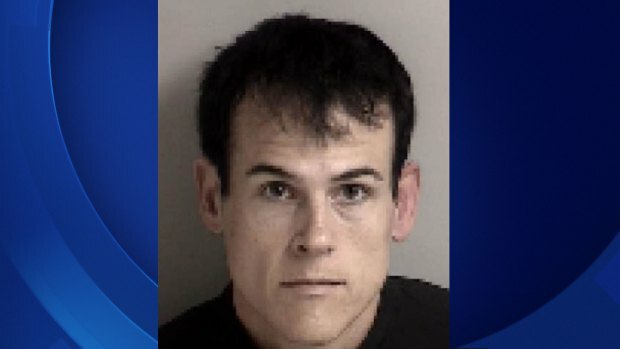 But detectives investigating a June 5, 2015 burglary in Dublin, Calif., connected Muller to the crime and later arrested him. FBI investigators met with Dublin officers and found similarities in that case to Huskins’ kidnapping. “This all came out of the blue,” said family friend Steve Reed, who said he has known Muller since he was a child. Muller never told Reed why he turned to crime, but Reed blamed a mental illness he said Muller now controls with his medications. Muller lost his law license last year over allegations that he took a $1,250 advance from a client then failed to file a green card application for the person’s son. Marianne Quinn, mother of Aaron Quinn, said outside the courtroom that she was pleased with a tougher recommended sentence than she had expected. “Forty years is a long time,” she said, noting that prosecutors have asked for the most intensive possible supervision if Muller is ever released from prison. She sharply criticized Vallejo police for botching the initial investigation and said Muller’s mental illness isn’t an excuse for what really happened.